Dwight Lee, Federico Fernandez and John Fund (speaking). The Association of Libertarian High School Students, led by Isak Hallmundsson, RNH and the Austrian Economics Center in Vienna, led by Dr. Barbara Kolm, held a well-attended “Free Market Road Show” in the University of Reykjavik Saturday 1 April 2017. John Fund from National Review and Fox News spoke about the new populism which was the expression of frustration and grievances by people who felt that they were ruled by an international elite of bureaucrats and intellectuals who were closer to each other than to the voters of their nations. Fund emphasised the progress brought about by free international trade. In the discussion after Fund’s talk Professor Hannes H. Gissurarson stressed that conservative liberals should not abandon international free trade, but that they should direct attention to the international elites which worked against the interests of taxpayers and consumers, safely ensconced in their faceless and non-responsible citadels in international organisations, universities and the like. Federico Fernandez from the Austrian Economics Center defended the share economy, including airbn accommodation and Uber transport. Professor Dwight R. Lee from the University of Georgia in Atlanta reminded the audience of the fact that government intervention rarely was effective in reaching their stated goals. One advantage of market competition was that people had to stop making mistakes, because they made a loss on them, whereas in public institutions they continued making them, because they were subsidised by taxpayers’ money. Gordon Kerr, a financial analyst from London, discussed weaknesses in the fiscal and monetary system prevailing in Europe. 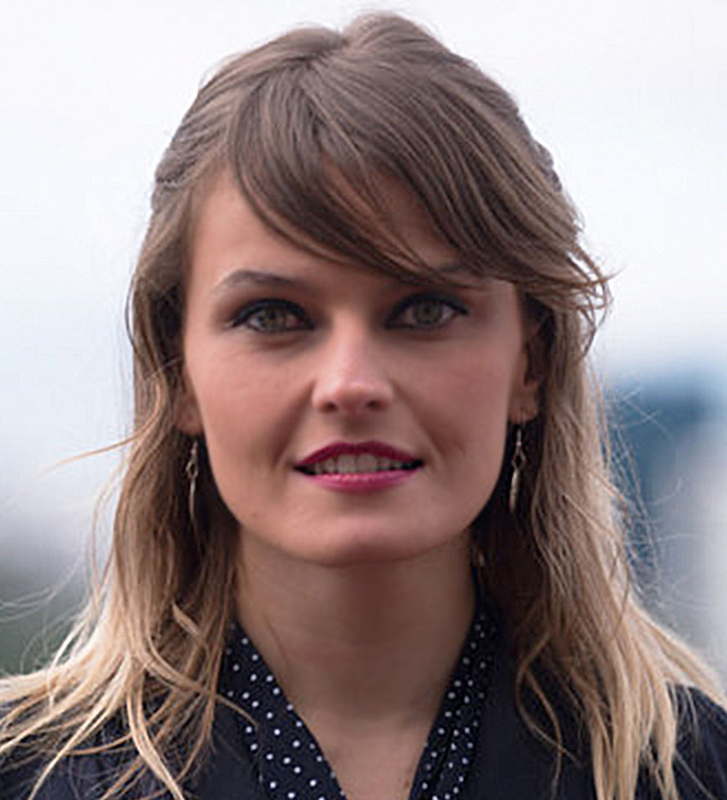 Gloria Álvarez from Guatemala criticized Latin American populism, inspired by the Castro Brothers in Cuba and by Hugo Chávez in Venezuela. Thordarson giving his speech. Álvarez (obscured) to his left, Bragason and Kerr to his right. 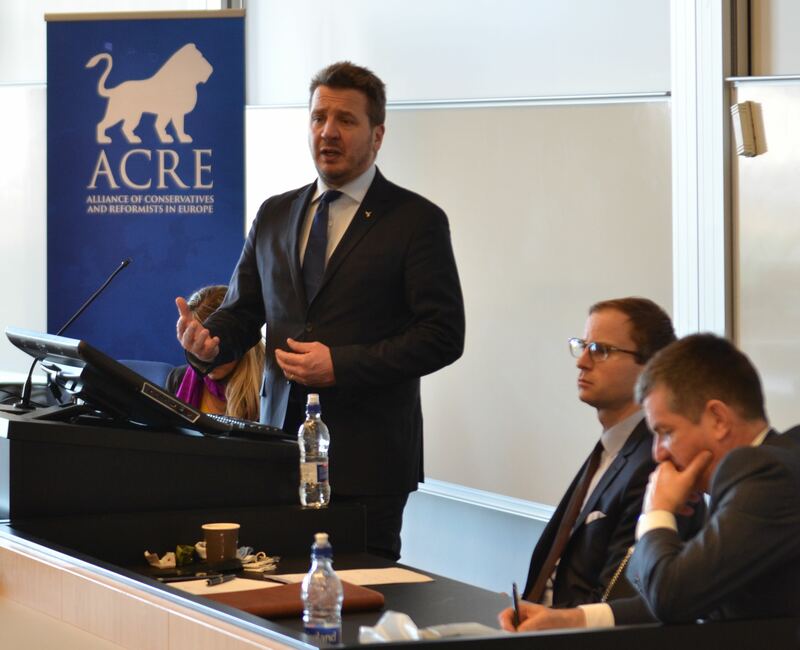 Foreign Minister Gudlaugur Thor Thordarson gave the final remarks. He argued that Trump’s election in the US and Brexit were not comparable. Trump was against international free trade, whereas most Brexit supporters were in favour of it. The Icelanders ought to concentrate on selling fish and their other products, but not join other alliances than those required by their interests, such as NATO. He had however not seen any signs of a changed US foreign policy under Trump. In addition to Isak Hallmundsson, Magnus Orn Gunnarsson organised the event, and historian Bjorn Jon Bragason chaired the meeting. John Fund was interviewed on Icelandic television about American politics and Gloria Álvarez in the business magazine Vidskiptabladid. In the evening the participants met at the Petersen bar in Reykjavik centre for a more informal discussion.